Rhode Island is known as "The Ocean State" for a reason. It is home to some of the most beautiful coastal lands in the United States. Newport's seaside city is a popular destination for tourists all around the world. 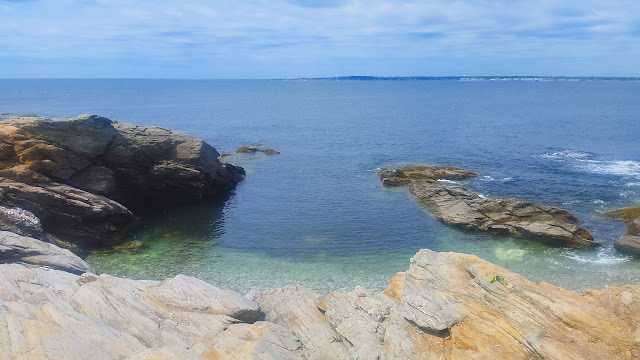 However, a not so well-known spot for non-Rhode Islanders is Jamestown, which is just as scenic but with less tourist crowds. Jamestown is part of Newport County. It is situated on Conanicut Island in Naragansett Bay, so as you can imagine there's no shortage of surrounding beaches. 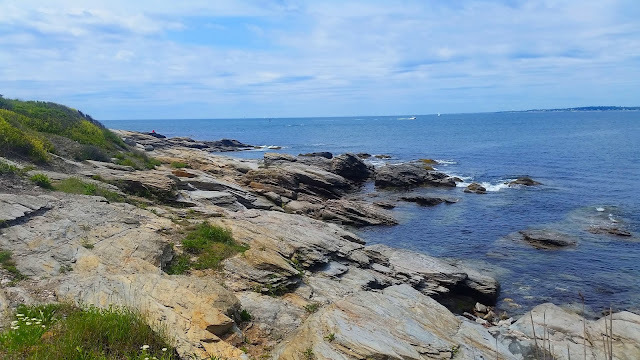 On our recent trip to Jamestown we visited Beavertail Lighthouse and Park where we traded in the typical sandy beaches for ocean cliffs instead. 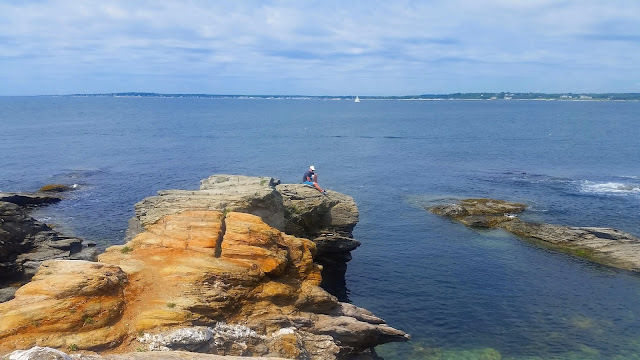 The cliff walk at Beavertail is beautiful and suitable for all ages. The rocks are large and flat, making for an easy hike along the beach. 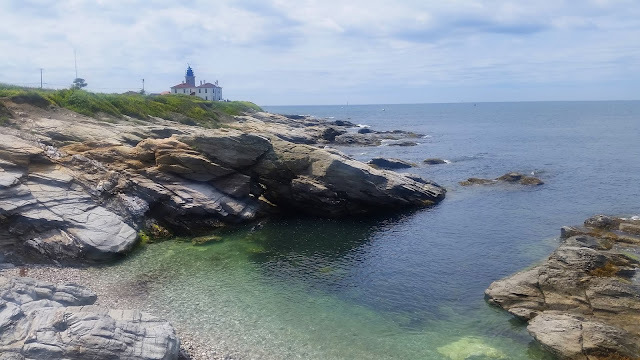 It wraps around the coastline and offers spectacular views of the waves crashing against the rocks with calm blue waters out in the distance. Many locals come here to fish or simply just to escape and relax. The lighthouse, which is the third oldest in North America, has a free visitor's museum inside. Nearby the lighthouse is plenty of lawn space for children to run and play. 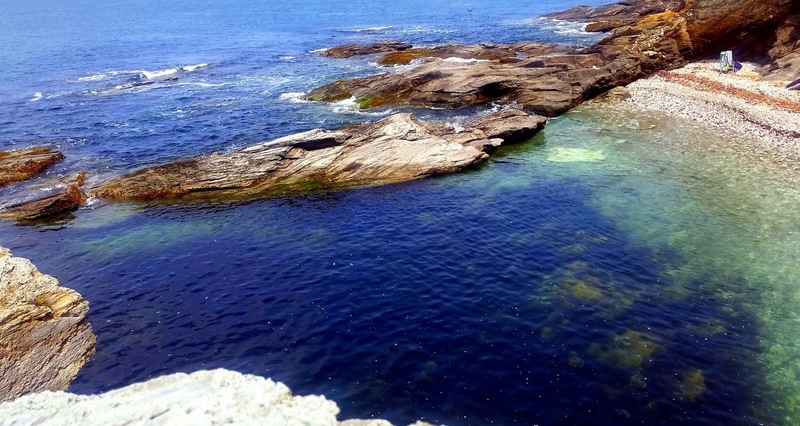 Depending on the ocean current that day, you may find pockets with tide pools to swim around and possibly even see some fish with snorkeling gear. On your next trip to Newport County, pack a picnic basket, swimsuit and sneakers and head over to Beavertail Park. It is a beautiful Rhode Island landmark you should definitely check out!